Somewhere over the Atlantic now and still bumpy. The 10 fingers typing system gets interesting when netbook and hands are moving in different directions…. 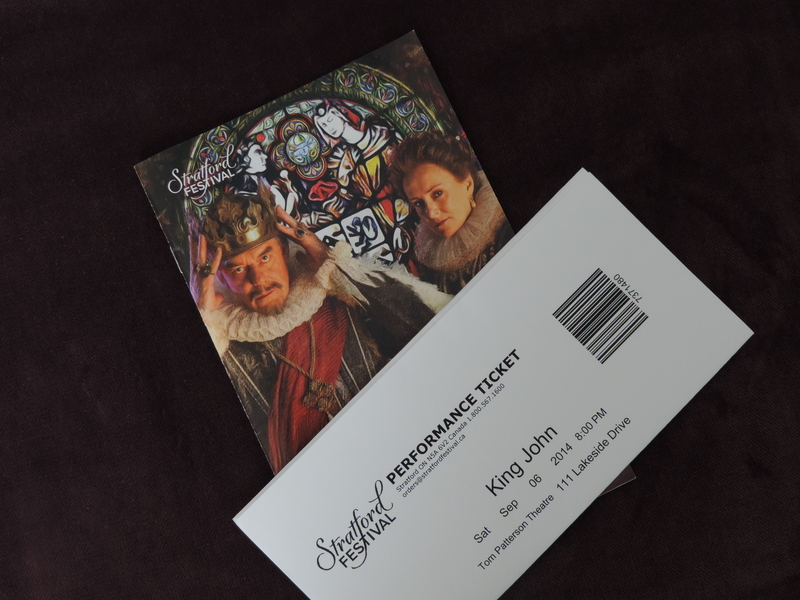 King John was our last play in Stratford this year, but also a first; out of the three of us, none had ever read or seen it, so we really weren’t prepared for the Graham Abbey show that was the first half of the play. 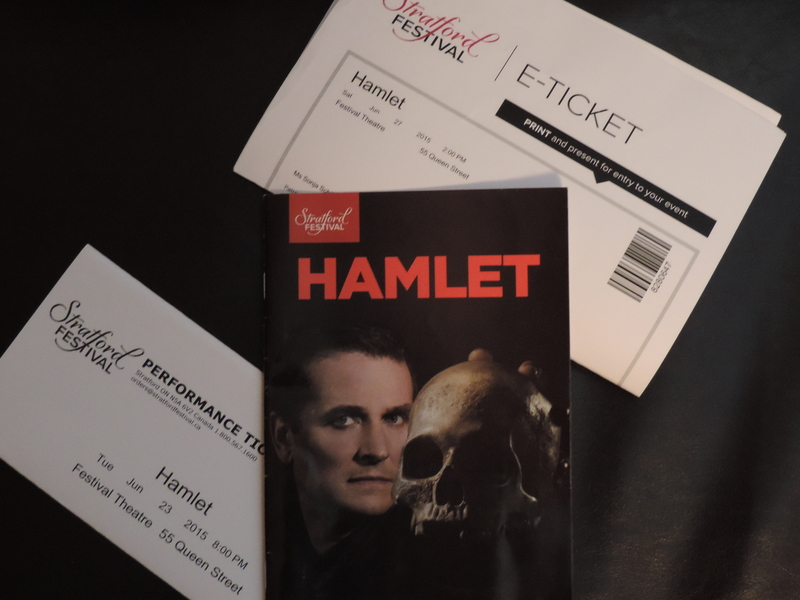 It was absolutely hilarious and a few teenagers in the first row are probably never going to forget that making a loud noise during a performance can lead to you being dragged into things for the rest of the night. To those who read my previous posts: you are probably going to think I’m repeating myself when I’m saying how great the entire cast was, but it’s true. I am not going to point out every single cast member – even though they would have deserved it – but I would watch the Abbey/McCamus (who is brilliant in reacting via facial expressions alone)/Arbuckle comedy hour any time, this (and Mother Courage) might be the best I’ve seen Peter Hutt do so far and the person who found Noah Jalava, who plays young Arthur should get an award. Most adults would have trouble with that many lines and the kid not only memorised them perfectly, but also displayed quite some acting talent. 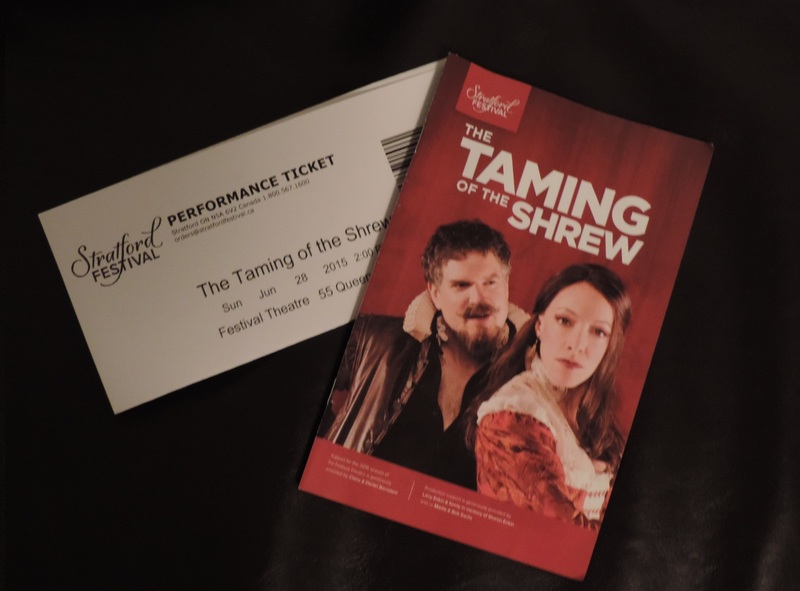 There was one side-effect of the witty first half of the play: walking out, we heard several patrons complain that the second part wasn’t as funny as the first one. King John isn’t that well known and apparently the shenanigans at the beginning led some to believe they were watching a comedy which resulted in disappointment later on. Speaking of shanenigans, if you are on Twitter you might want to check out the Ladies of Angiers (#ladiesofangiers) to see what they have been up to in Stratford in the last months.